With a "planned giving" gift to Volunteers of America, you can combine your desire to give to charity with your overall financial, tax, and estate planning goals; and know that your legacy will live on for generations to come. Depending on your individual situation, a legacy gift to Volunteers of America Northern California and Northern Nevada can help you manage your personal financial plan and extend your ability to help others for generations. 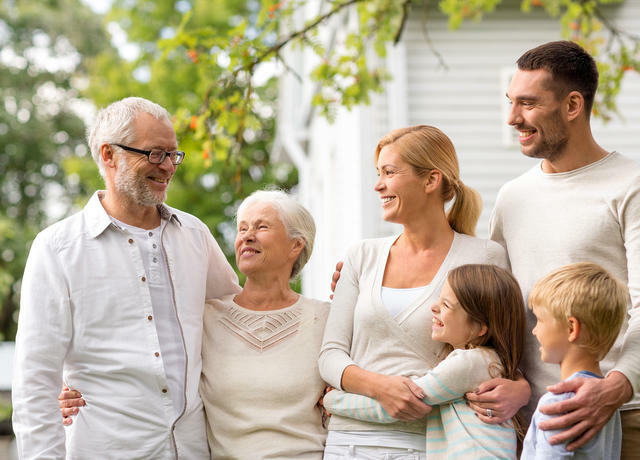 Legacy Gifts / Planned giving will make the world a better place for your children and grandchildren as you continue our good work by leaving a bequest in your will, acquiring an annuity, or making a gift of appreciated stock, real estate or other assets. Estate planning and making legacy gifts helps protect the value of your estate from decreasing due to federal estate tax and other causes, all while supporting those in need. Below are some planned giving options that offer a variety of flexible and secure opportunities to be charitable, and typically reduce estate taxes. We are happy to discuss charitable gift options for you and your family, please contact us directly, without any obligation, and we will be happy to speak with you or send you information that you can discuss with your estate planner or accountant. If you are interested in directing your legacy gift to us, please contact Christie Holderegger, VP/Chief Development & Communications Officer, at (916) 265-3965. Volunteers of America was founded by social reformers Maud and Ballington Booth on March 8, 1896. They envisioned a movement dedicated to "reaching and uplifting" the American people. "Myrtle" was Ballington Booth's pet name for his beloved wife, Maud. We honor those who intend to remember Volunteers of America in their will, by naming them to The Myrtle Legacy Society. We always appreciate the opportunity to recognize our Legacy Society donors in our annual report and donor newsletter, as an inspiration to others who may perhaps follow suit. We recognize however, that your bequest intentions are personal and that you may want to keep them confidential. If so, please let us know. Gifts by Will or Living Trust: Include a bequest to Volunteers of America in your will or trust (designate a specific dollar amount, a percentage or a share of the remainder), leaving a legacy without affecting your cashflow during your lifetime. Gifts of Retirement Plans: Name Volunteers of America as a full or partial beneficiary of your IRA, 401(k) or other qualified plan. Gifts of Life Insurance: Name Volunteers of America as a full or partial beneficiary of a life insurance policy, creating a significant endowment without impacting your cashflow during your lifetime. Gifts of Securities: Transfer appreciated stocks, bonds, or mutual fund shares to Volunteers of America and we will use the funds from their sale to support our mission. Gifts of Business Interests: Give an interest in a closely-held or family business. Gifts of Real Estate: Make a substantial gift through a transfer of residential, commercial, or undeveloped real estate. Gifts of Personal Property: Donate valuable personal property such as rare books, artwork or antiques. Charitable Gift Annuity: Transfer cash or securities to Volunteers of America and we will pay you, or one other beneficiary you name, a fixed income for life. Deferred Gift Annuity: Make a gift of cash or securities to Volunteers of America and beginning on a specified date in the future, we will begin to pay you, or up to two annuitants you name, fixed annuity payments for life (recommended for younger donors). Donor Advised Fund: Make an irrevocable gift to Volunteers of America of cash, securities or other property (minimum initial gift is $5 million) and these funds will be comingled with Volunteers of America Northern California and Northern Nevada endowment. You may propose that distributions from the fund be made on your own giving timetable in amounts of $50,000 or more. Charitable Lead Trusts: Freeze the taxable value of your appreciating assets by using them to make gifts today and pass them back to family members later. Charitable Remainder Annuity Trusts: Transfer cash, securities or other appreciated property into a trust, which will make fixed annual payments to you or to your beneficiaries. Retained Life Estate: Donate your home or other property to Volunteers of America and continue to live there rent-free for life, only paying taxes and upkeep. Charitable Remainder Unitrusts: Transfer cash, securities or other appreciated property into a trust which pays a percentage of the value of its principal to you or the beneficiaries you name.